7th Period: Stephen N, Dorian M, and Sabrina O.
John Dickinson, born in Talbot County, Maryland, on November 8, 1732, lived as a statesman and political pamphleteer. 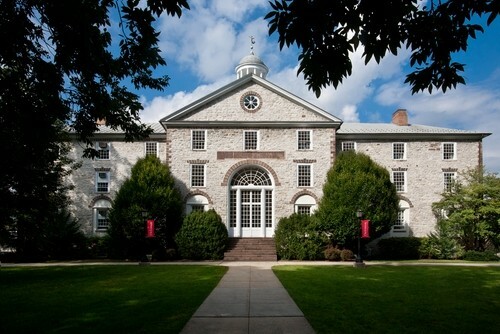 His wealthy family, who had originally come over with his great-grandfather in 1654 from England, owned extensive land in both Delaware and Maryland their holdings had increased with each generation. This gave them ample land to build and run profitable agricultural plantations that benefitted greatly from slave labor. John Dickinson spent his childhood home-schooled until the age of 18 when he began to study law. At the age of 21, Dickinson went to London for four years to complete his legal training. He then returned to Philadelphia and opened up a law office where he earned an excellent reputation. John Dickinson was an American lawyer and politician from Philadelphia, Pennsylvania and Wilmington, Delaware. Dickinson was a patriot so he was loyal to the colonial America's. While Dickinson was loyal to the colonists, he was also loyal to the English people because he chose to abstain from voting to become independent as he felt that the fledgling United States didn’t have a governing doctrine nor would they have any foreign allies to recognize them as sovereign. Because of these views, he opposed the Declaration of Independence and left the second continental congress before the vote, which caused his popularity in the political arena to begin to sharply decline. He became disgruntled with the leadership in Pennsylvania and retired from the Pennsylvania Assembly. John Dickinson continued his public career in the Stamp Act Congress of 1765 and he passed an Anti-Stamp Act resolution which, although largely ignored by London, showed that he believed the crown was in the wrong. 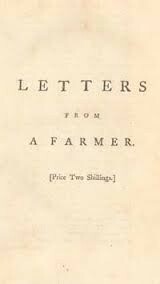 In 1768, he began to publish his” "Letters from a Farmer in Pennsylvania to the Inhabitants of the British Colonies” which had a larger effect on London as people in both the colonies and Britain read his thoughts on how the Stamp Act violated the liberties of the colonists. Because of his letters and their cautious attitude towards what Dickinson viewed as encroachment by the British upon the rights of the colonists, he was given the title of “Penman of the Revolution” as his writings inspired others to challenge the status quo of British rule very early on. He was given the task of drafting the Declaration of Rights and Grievances. Dickinson served as a large player in the American Revolution by informing the citizens of America to disregard laws like the Stamp Act. 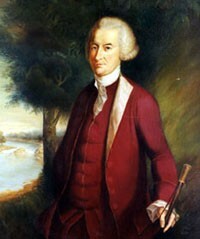 John Dickinson joined the First Continental Congress in October 1774. He played a large role in writing the Declaration of Rights and Grievances. He also played an active role in the Second Continental Congress in May 1775. 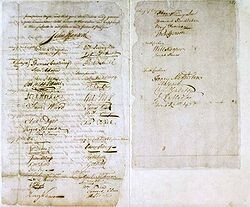 In June 1775, Dickinson prepared the final draft of the Congress’s “Declaration of the Causes and Necessity of Taking up Arms”, which he wrote with Thomas Jefferson and this document was used as a list of reasons that the colonists felt necessitated them to declare independence from Britain. Dickinson however remained set on reconciliation, as evidenced by his Olive Branch Petition to King George III and tried to stay in opposition to extreme action by the colonies but ultimately failed. At this point, he left the Second Continental Congress and became a member of the Pennsylvania Associators and rose to the rank of Brigadier General during the Revolutionary War. Speech given by John Dickinson just before independence vote. Merriam Webster defines integrity as a strict adherence to a code of especially moral or artistic values. John Dickinson showed great integrity in that he clung to his beliefs of reconciliation and beliefs of how the government should be run even when it was clear that he fought against the majority: such as when he decided not to sign the Declaration of Independence because he felt that reparations could still be made. Also, even though his official stand was on the side of the colonists and he felt they deserved all political rights guaranteed in English doctrine, he believed in doing this through nonviolent means. He managed to get the help of several very powerful British merchants to side with them. Even though he wanted to have the colonies and Britain settle their differences nonviolently, he had no qualms about fighting if need be. He was one of the first to sign up and was made a brigadier general in the militia before he retired. After the war, he helped draft and sign the Articles of Confederation. But with the Articles making the government and laws inefficient, he was called to attend the Philadelphia Convention and was a major architect in the Great Compromise that created the House of Representatives and the Senate. Citizenship is the connection between a person a group of states or a country that necessitates the person fulfill their economic and political obligations to the nation and additionally act in such a manner that would not harm the nation in any ways. John Dickinson was neither a poor British citizen nor was he a fine British citizen as his actions were contradictory leading up to the Declaration a . On one hand he nearly renounced his British citizenship as he was part of the both the first and second continental congresses , which led to the drafting of the declaration of independence, he provided multiple declarations found in the the articles of confederation which became the governing document of the fledgling USA and he was a brigadier general for the Pennsylvania Associators during the revolutionary war. In spite of these actions against Britain, he also proved that he held his British citizenship in high esteem as he refused to vote for independence during the second continental congress, he offered the olive branch petition to King George in an attempt to avoid a war between the colonies and Britain and he left the the second continental congress voluntarily to protest the signing of the declaration. In the end, Dickinson's actions proved that he was not a truly loyal citizen of Britain but he felt that his citizenship and heritage from Britain were still important parts of his identity.